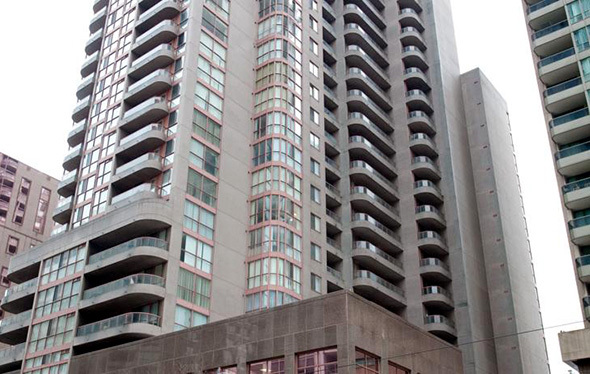 Toronto's crop ugliest condos isn't a small group (unlike our most stunning ones). There are scores of anonymous glass towers with little aesthetic appeal that dot the city. Add to these the monstrosities of the first condo boom in the 1980s, and you have a large enough pool that selecting the worst of the worst becomes almost an arbitrary task. But, hey, someone has to do it. 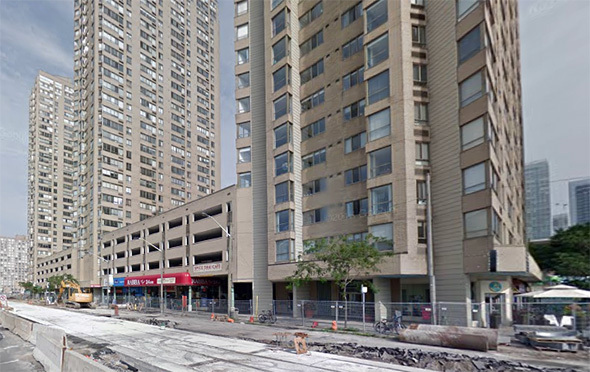 Behold, my picks for the ugliest condos in Toronto. This faux Deco complex dates back to the early 2000s and remains one of the architecturally despised condo developments in Toronto. Kirkor Architects have been behind some truly awful projects in this city (including this eyesore that was never built), but these are probably the most offensive for the way they defer to New York and stand as monuments to unoriginality. 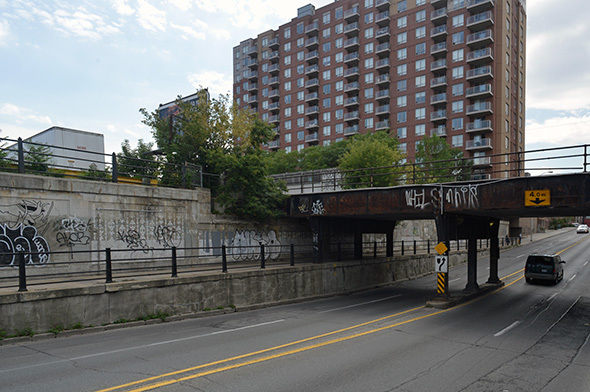 You can thank Page & Steele Inc. and IBI Group for this massive missed opportunity on West Queen West. Forgetting the horrible name and marketing campaign, the facade is just a mess. There are quasi-historical elements, but no real attempt to fit the building to this most vibrant street scape in Toronto. Quick, can you guess when this building was constructed? No it's not a slab from the 1970s. 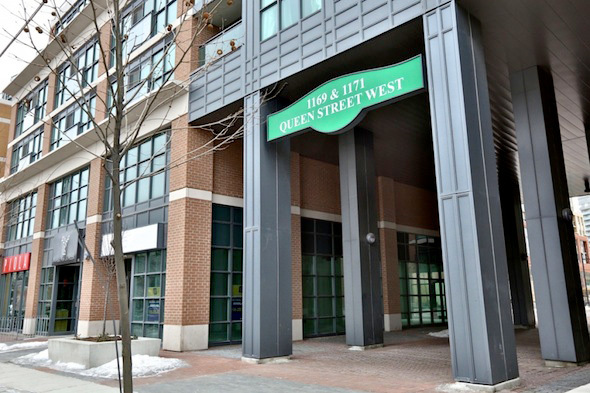 This entirely bland building near Lansdowne and Bloor was completed in 2006 and provides ample fodder for those who say Toronto doesn't given a damn about architecture and design. 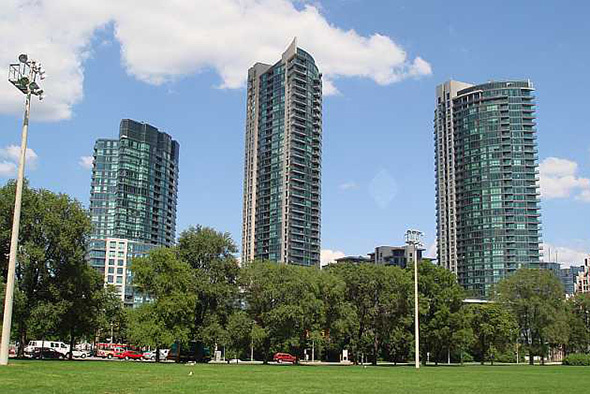 Often referred to as the Ugly Sisters, these three condo towers on Queens Quay are at least partially responsible for the bad architectural reputation the waterfront has for unfriendly buildings that block the rest of the city from the lake. The Huang & Danczkay-designed complex is emblematic of everything we did wrong in the 1980s. Where to start? 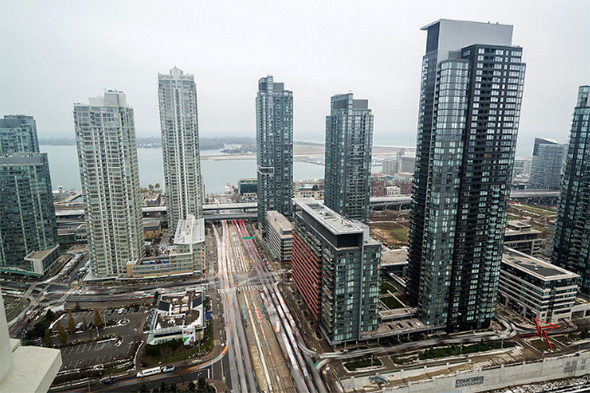 CityPlace is is ground zero for bland glass tower design. It'd be silly to pick just one of the towers to highlight here because they all just blend together. Even their names -- Matrix, Apex, Panorama, Luna Vista, etc. -- are yawn-inducing. This is another nasty bit of work from the the 1980s. Sections of the building are now short term rental properties, but this was originally conceived as a luxury condo in the early 1990s. Looking at it, you get the sense that the building is in the process of regurgitating itself. 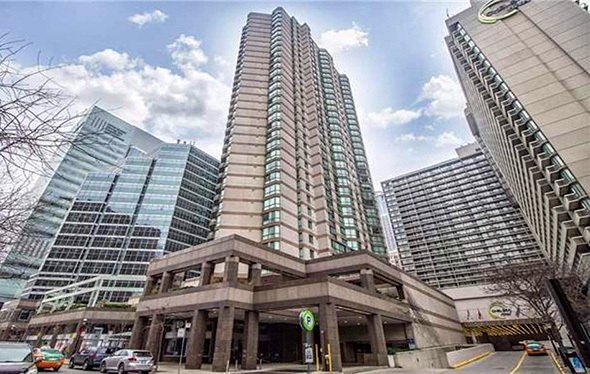 Bay Street has a number of awful condos dating back to the 1980s, but it's Polo Club I and II that take the cake, right down to the terribly designed bit of public space at the foot of the second tower. There's a feeling of impending doom when walking by here. Bay Street could have beautiful, but we blew it. 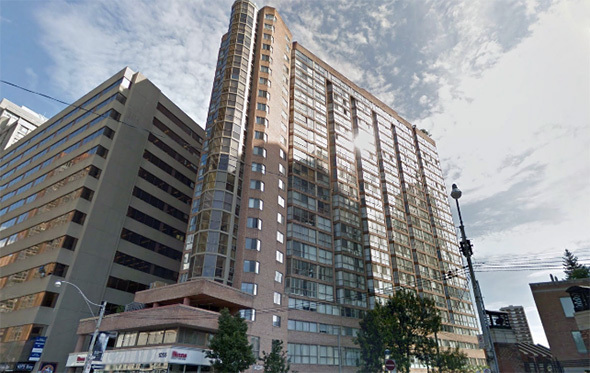 Marble touches can't save this WZMH Architects-designed condo from banality. Though the firm did plenty of great work on office buildings during the period leading into the 1990s, this residential offering is just cold and characterless. 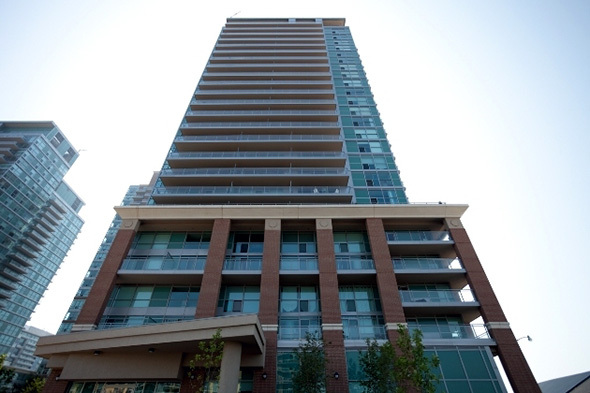 If there's a condo that exemplifies the banality of the boxy podium/tower design favoured by so many Toronto architects, Vibe is it. It's not so much that it's outright ugly. On the contrary, it just looks like a paint-by-number condo. This is another one from Page & Steele. I guess the best way to describe these buildings is that they look like they come out of Minecraft. They're a perfect example of boring glass condo towers that add nothing of interest to the Toronto skyline. Density is good, but it's even better when it comes with attention to detail in design. What ugly condos did I miss (there are a lot to choose from)? Leave your suggestions in the comments. Photos via Empty Quarter, Derek Flack, Google Street View, New York Towers.